Nicki Minaj recently concluded the European leg of her PinkPrint tour and she is sharing some behind-the-scenes footage from the tour including her romantic moments with boyfriend her fiance Meek Mill. The Young Money rapper shared the footage exclusively on TIDAL yesterday giving fans a glimpse of her tour. 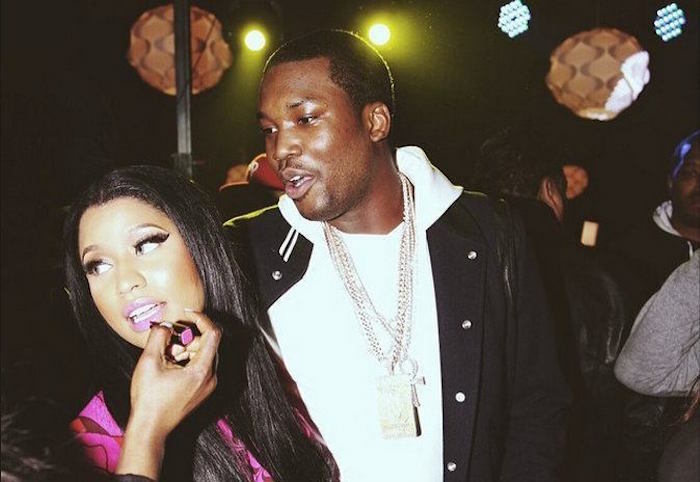 SEE ALSO: When Will Nicki Minaj And Meek Mill Get Married ? The video shows Nicki Minaj and Meek Mill getting close backstage and also holding hands while walking up to the world famous Eiffel tower. Minaj also got a surprising visit from Katy Perry backstage. 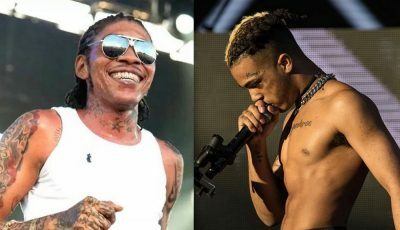 The two joked about Nicki Minaj’s sweat. “Squeeze some of that sweat onto my face let me have some of that essence,” the Perry star said. The footage also show the “Only” rapper performing some of her hits and joking around with her dancers. 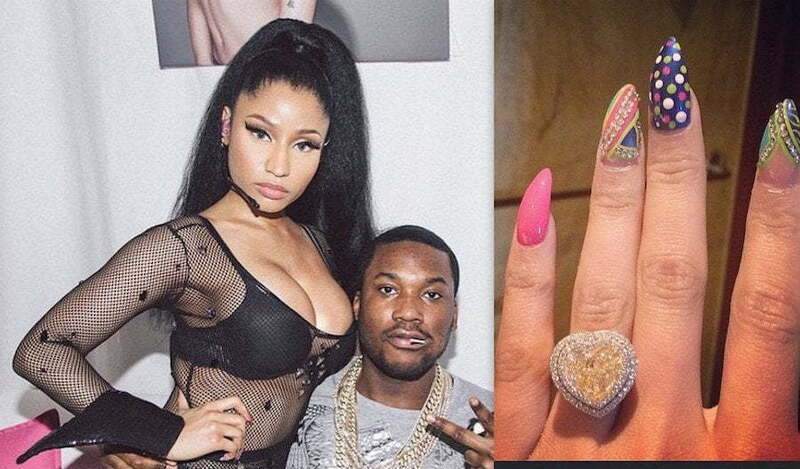 Nicki Minaj and Meek Mill got engaged last month after the MMG rapper surprised her with a giant diamond ring. The couple has not yet announced their wedding date. Nicki’s ex-boyfriend Safaree Samuels and also her label mate Drake have congratulate her on her engagement. “Safaree is not bitter nor does he hate Nicki, in fact it is the opposite, he stills very much love and care for her deeply so it was no surprised when he reached out and congratulate her and wish her all the best,” sources told Urban Islandz. Meek Mill will be joining Nicki Minaj on the North American leg of her PinkPrint tour starting this month.